Here you can find out what a true "Rental Support Service" or "Cleaning Service" business should do for you. There is so much more needed to balance your guest and tenant requests, owner desires and what you know as a Rental Property Management business then just cleaning. We have designed a system of policies and procedures coupled with a very intuitive piece of web based software to enable us take the majority of the behind the scenes tasks and worries off your shoulders. Give us a call or send us an email so we can setup an appointment to go over in detail all that we can help you with. Show you how we can make available all or just pieces of the services we offer. Most of which for the same cost that you are paying your current vacation rental cleaning company for. What can the wizard do for you? I have designed and built a group of services that all vacation rental companies struggle with. Everything from cleaning your properties to the after hour call handling. Best of all it has been done from the inside out. I know your business and the everyday challenges that you and your staff face. I have worked in and around this industry for many years and lived in a tourism driven community for the better part of 20 years. Thank you for taking the next few precious minutes of your day to learn exactly what the Wizard can and wants to help you with. Because a good partnership with the right support company can save you thousands of dollars in lost time and money as well as make your property management company grow and maintain new guests and owners. To provide cleaning services to the Property Management, Residential and Commercial Sectors and to do it better than any of our competitors. To deliver the exact services our customers want, listen closely to their expectations, take a pro-active approach in defining their requirements, build the best partnering relationship possible, and continually improve our services. To create a company that rewards dependability, integrity and safety and provides for the training and development of all team members. A commitment to act with honesty and integrity at all times in all aspects of our business, to be professional in doing our job, and to deliver a consistent, high level quality of work. High quality vacation rental cleaning including arrival checks, free linen service, amenities and much more. Free Bed Linens are provided. Plus you can choose to have us handle your bath linen as well! Free amenity hand soap and shampoo for you guests! We will also make sure supplies like laundry soap and dish soap stay stocked. A through deep cleaning of your property after a tenant moves out. Giving you before and after pictures of the job to have on file. A complete inspection with pictures of the property before and/or after a tenant. Documenting all damages and cleaniness of the location. Professional Steam Extraction Carpet Cleaning for Residential and Commercial properties. Does a guest not have room for something or just have an after thought? We can rent it to them! Whether it is a vacation rental or long term rental, having a property sit vacant can be hard. Making sure roof leaks haven't started, pipe hasn't broken or the property hasn't been broke into and catching it right away is vital. Making sure your property stays in tip top shape. Checking lights, heaters and other vital components. We can coordinate the larger projects as well. Whether its one bag or entire garage full. We can haul it off for you! Web Based tracking and scheduling software that was custom built in house. Enabling us to handle anything from one property to hundreds and all the details that go with them. This will ask you some general information about your property and compare it to the 80 plus properties that we currently clean and that are actively on our program to give you an estimated guest cleaning fee for you property. This estimated price will include everything that we do at the flat rate everytime. Tell this wizard what it needs to know and it will compare what we have already done in the past, some other general guidelines and give you price on your carpet cleaning. Having trouble coming up with a competitive prive for your vacation rental. Let our exprience do the talking. This will walk you thru and at the end give you a really good idea or atleast a starting point as to what to rent your property for. Just about anyone can clean a home. But it takes the right people, systems and policies to do it effectively. 7. We handle the hiring and screening of qualified cleaners who take great pride in the work that they do. 8. We offer bonuses and incentives to our staff to keep them striving for the best possible job. 9. With an ever expanding staffing level we can handle anything from 1 property to hundreds. 10. We know that last minute rentals and arrivals can happen. We are able to adjust at a moments notice to make sure your guest is taken care of. 11. Live update system that shows you and emails you the current status of an individual property. Have a guest call wanting to know if they can go into their rental early? One click and you will know. 12. Helping to ensure a smooth and virtually transparent transition from your current service to ours. 13. Eliminate the extra costs associated with having and training good cleaners. 14. A triple check system is put into place to dramatically reduce guest and owner cleaning and maintenance complaints. We have been able reduce these up to 90% in most cases. 15. Deep cleaning a property at least once a year is a must, but should be done twice in heavier used homes. Keeping the costs associated with this to a minimum for your owners is imperative. 16. Deep Clean, "everything gets touched" attitude. We take that extra minute and provide a secondary check of everything to ensure that the home is completely clean upon completion. Bed Linens are a costly item to replace and clean regularly. You provide the towels, wash clothes and kitchen towels and we will take care of the bed linens. In most cases, free of charge. Don't have or want your bath towels ruined? We can provide these as well! This service coupled with our cleaning services can save your owners hundreds of dollars a year in electricity and water consumption not to mention the excessive wear and tear on the linens, washers and dryers. Helping to eliminate costly repairs and linen replacement. We can handle all the supply needs of your properties. We provide hand soaps for the sinks and shampoo and conditioner for the bathtubs and showers. We also place sani-strips on your toilets after every clean. Tired of having thousands of dollars of toilet paper, laundry soap, dish washer soap, etc stock piled? Tired of having to come up with the extra cash flow to purchase all that inventory up front? You know longer have to. Let us know what you and your owners want to supply to guests and we will make sure it is in the property and only bill your invoice on an as used basis. This will free up precious cash flow for you and take one less worry or item that you have to track off your list. Making sure a unit is clean before a tenant moves in helps to ensure that it will be that way when they move out. We clean everything you ask or if you don't have a set guideline for your tenants, we can help establish one so that your tenants know what is expected of them before you rent to them. Behind appliances, changing drip pans, wiping out and down all the cabinets and cleaning out the window tracks are just a few of the more commonly missed items when a tenant moves out. We don't mess around and "milk" the clock while there. We are well aware that we are spending a persons hard earned deposit money so we only do what is missed. Taking before and after pictures so that you will have something to show your tenants as to why a portion of the deposit was held. Proper documentation is key to solving tenant disputes. An extensive inspection of a unit when a tenant moves out and a complete inspection when a tenant moves in, is vital in helping resolve disputes about what was and what wasn't when the tenant moved in to a unit. Before a tenant moves into a property, we can either meet them at the location or just inspect it. Either way, going through an extensive checklist, documenting everything that is wrong, out of place or needing attention. Hundreds of pictures are taking at the time of inspection so that you have a visual time capsule of how the unit looked before move in. Doing this ensures and shows the tenant that you care about the condition of the unit. It also gives them a clear understanding of what is expected when they move out. After a tenant moves out of a unit we can either meet the tenant or just inspect. Typically the inspection is just the same as a move in, but we find this to be the most critical. Again following a checklist and documenting everything. We do this as if we have never done one before. Taking hundreds of photos if necessary of the location. Doing this allows you to compare the condition of the unit before and after a move out. Enabling you to truely decide what is normal wear and tear or what the tenant should replace or fix. Having the proper documention like checklists, photos and then coupling that with a neutral third party handling the inspections ensures that if the need arises, there will be little room for dispute that you are in the right. That what you have charged a tenant is fair. If you find that no matter how much you vacuum, your carpet still does not look like it used to, it may be time for deep cleaning. While there are do-it-yourself cleaning methods on the marketing, hiring a professional is the safest, fastest and easiest options. Utilizing CRI-certified carpet cleaning products as part of our cleaning process. Using a professional is an easy way to make sure that your carpets are being cleaned with quality products that will help maintain your carpet's life and beauty. Go ahead! Walk on it! No such thing as one-and-done. When it comes to carpet care, regular, professional cleanings are the best way to extend your carpet life and keep it looking like new. Manufacturers recommend frequent cleaning to increase the life of your investment, based on the number of inhabitants in your home, whether you have children and pets, and the climate where you live. But regardless of your situation, daily wear and tear is inevitable. Fight back by maintaining a regular cleaning schedule—and you can make a difference. Dirt can burrow deep in the fibers of your carpet. Although you can’t always see it, waiting too long to correct the problem causes long-term damage that may be irreversible. With regular cleaning, you not only get rid of that unseen dirt, dust and sand, but you can address problem areas like spots and spills. Regular carpet care also eliminates pollutants and contaminants that affect the quality of your indoor environment. Allergy sufferers especially don’t want to breathe in the unhealthy pollutants that you dragged in from outdoors. So don’t think that carpet care is just a matter of cleaning it once and you’re done. Regular, professional carpet cleanings are necessary for cleaner, healthier air and to increase the carpet life in your home. We recommend cleaning your carpet every six to 12 months depending on the activity in your home. 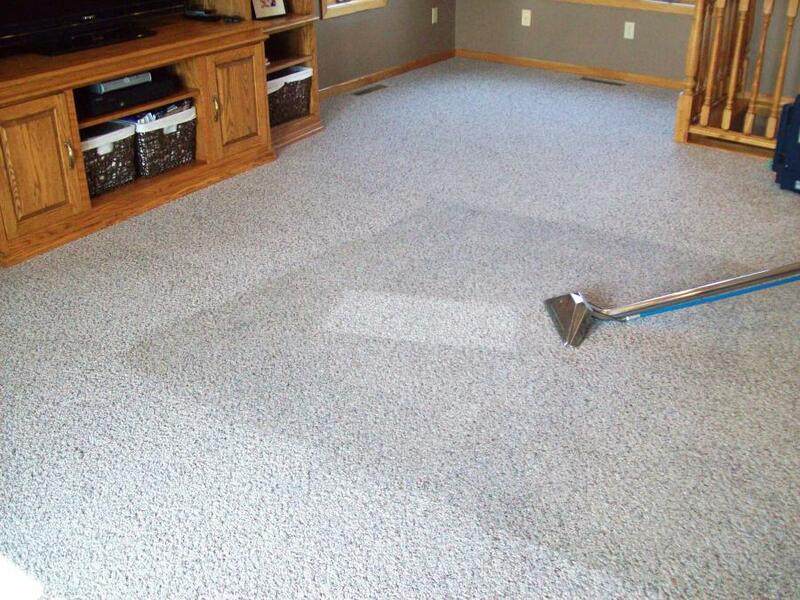 Mr. Wizard’s carpet cleaning service is quick, convenient and hassle-free. Your home is back to normal in a flash. It’s one more reason Mr. Wizard’s carpet cleaning service sets the standard in high-quality carpet care. concierge service to help with your needs on your vacation or day to day life. Everyone can often feel overwhelmed with a packed schedule and a to-do list than seems to get longer by the day. As a concierge service can be your on-call personal assistants to save time, reduce stress, and lead more focused and productive lives. You can use our errand service to pick up groceries, birthday gifts, or dry cleaning to name just a few. If you are traveling we can shuttle you to the airport and watch your pets or home while you are away. Don’t take a vacation day for the cable guy to come out, have a concierge handle it. Cleaning you house can an exhausting task. Use our house cleaning service and save yourself the time and effort. We also can provide non-medical senior care to aid in a variety of situations. Here to aid you or your loved ones with their work/life balance and increase your quality time. We can provide the flexible solutions to your problems. You won’t have to worry about how to get all your errands done again. Buy yourself some free time!